Follow the installation instructions and then go to Window -> Extensions -> PageProof to open the add-on. Log into PageProof. 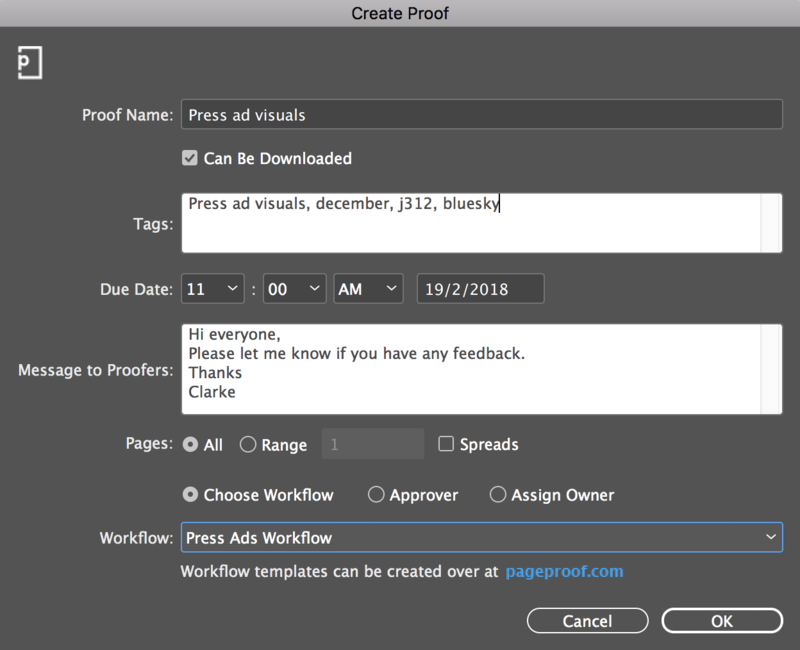 With your InDesign file open, click the create new proof icon. You can choose to create the proof from all pages, or select a page range and/or spreads. Choose assign owner (send the proof to another owner for them to complete the set up of the proof and send it out. For example send it to an account manager. Simply enter in their email address). Click OK to create the proof. 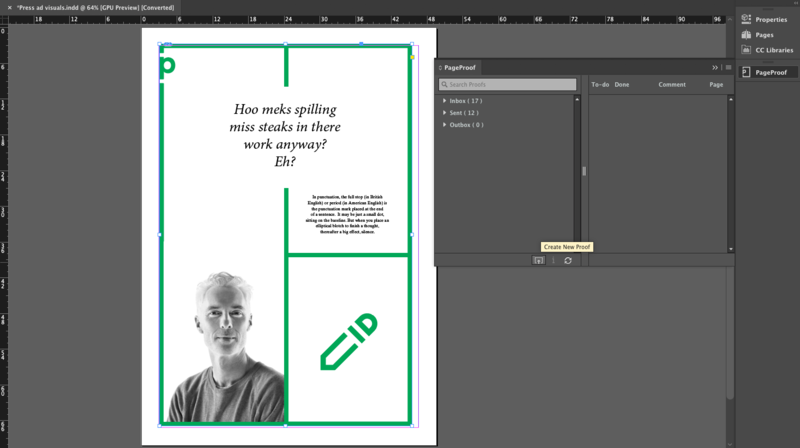 Read on further with this article on how to bring back comments from the proof into InDesign.